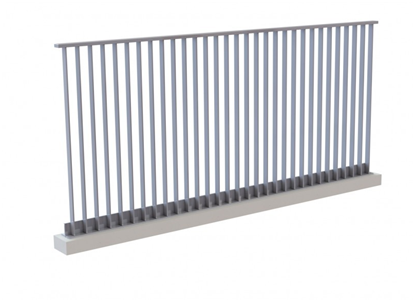 The non-glazed balustrade allows for various options of mesh infill to be used to meet design needs. The system is a prefabricated system that clips together allowing fast and easy installation. Handrails are pre-measured, pre-fabricated and pre-finished, so installation is highly efficient and involves minimal onsite presence. Handrail systems are largely interchangeable, allowing specifiers to combine various materials and colours. Joints feature precision machining with a high quality finish, rather than visible welds. Each component can be finished individually, allowing specifiers to create visual links between balustrades and other architectural elements. Components are standardised, meaning reduced costs and minimal lead times. All work is covered by our ten-year design and manufacturing warranty. 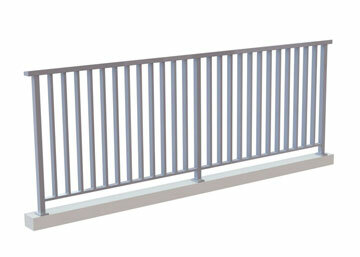 A balustrade system with the ability to be used with many handrails with a rectangle batten. 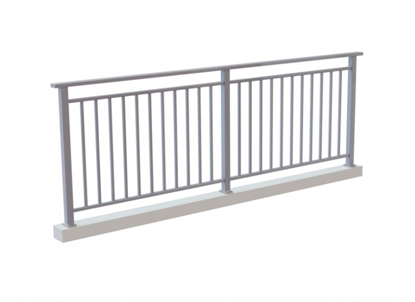 Settler is an adaptable system allowing the use of a wide range of handrails. Heat soaking is advised. 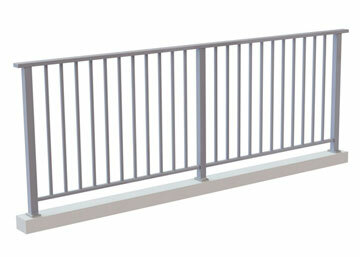 Compatible with a wide range of handrails Supplied powder coated or anodised.